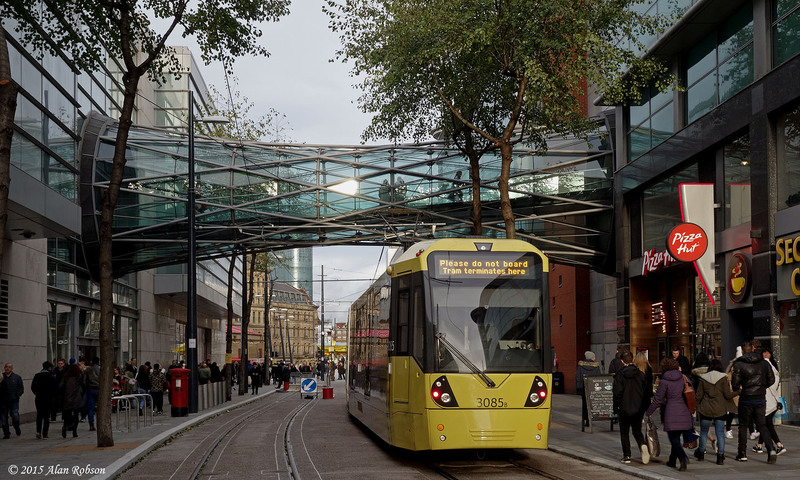 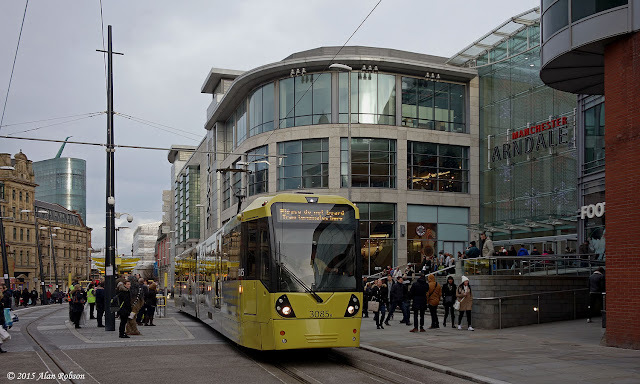 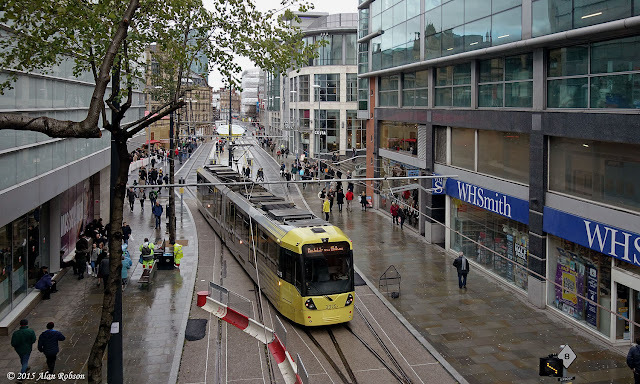 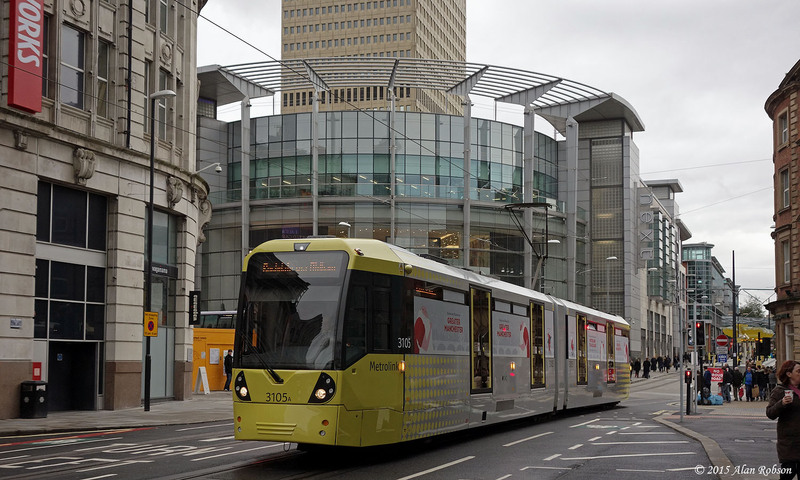 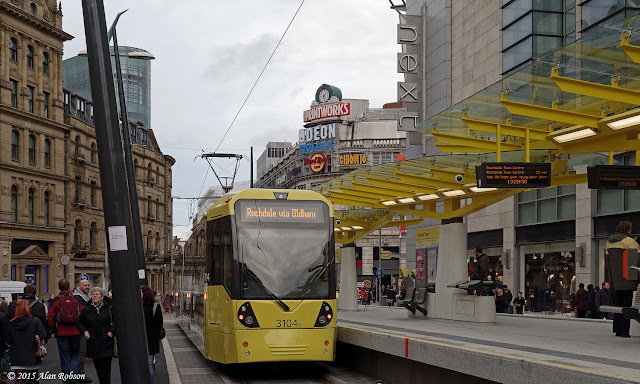 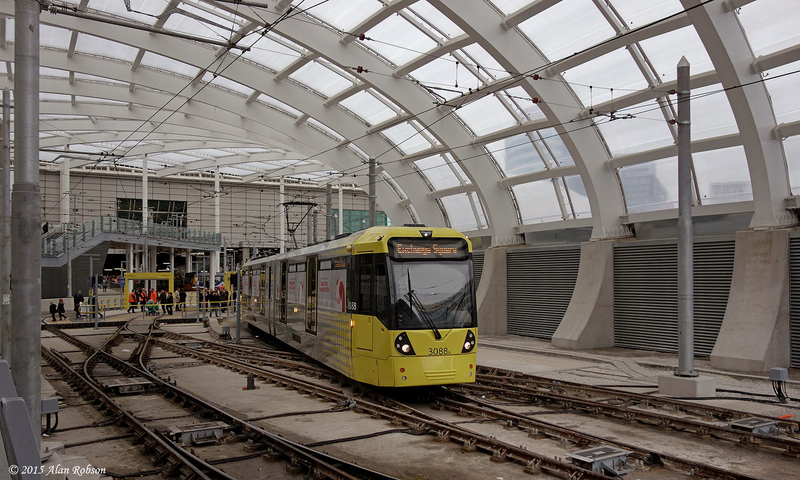 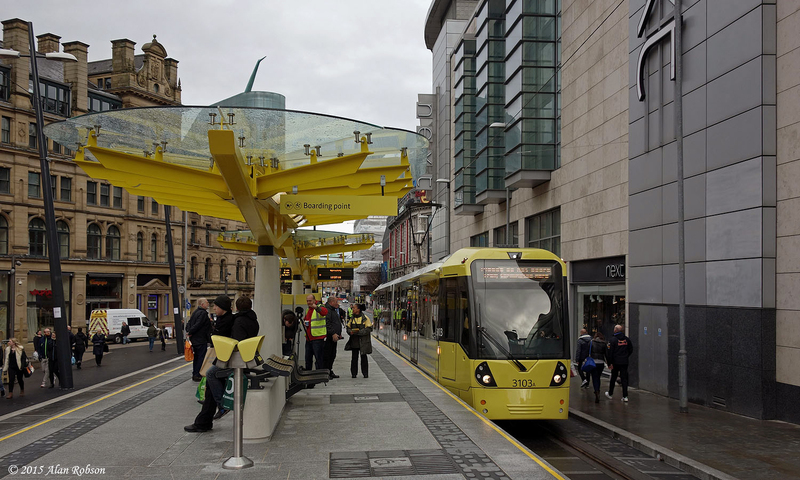 Sunday 6th December saw the opening of the first section of the new Second City Crossing line on Manchester's Metrolink system, that will eventually run all the way between Victoria Station and St. Peter's Square by 2017. The initial section of the line between Victoria Station and the new Exchange Square stop on Corporation Street commenced operation early on the morning of the 6th. 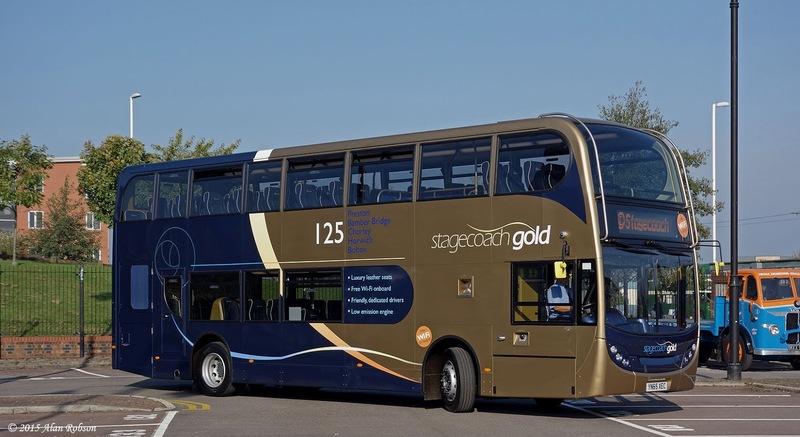 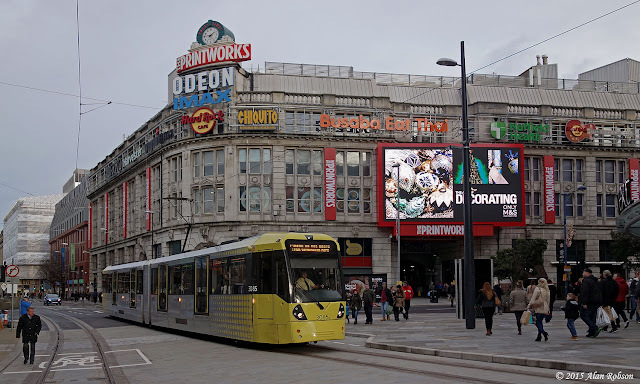 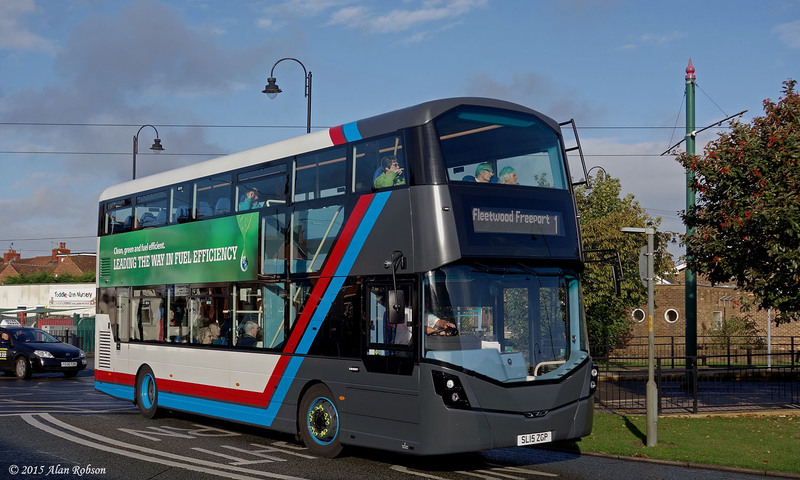 The Sunday service runs between Exchange Square and Rochdale, for the rest of the week (Monday to Saturday) the route will operate a shorter service terminating at Shaw and Crompton. 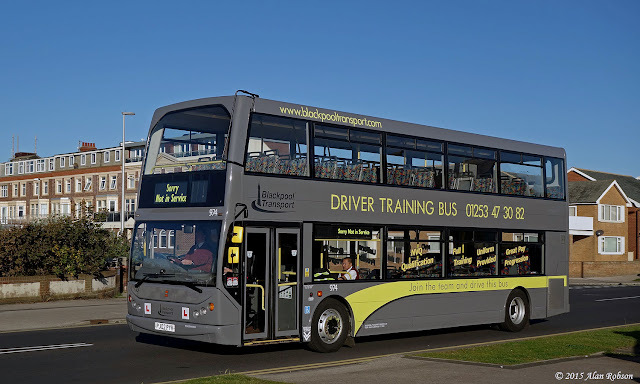 Some more views of grey and yellow Dennis Trident 974, Blackpool Transport's new driver training vehicle. 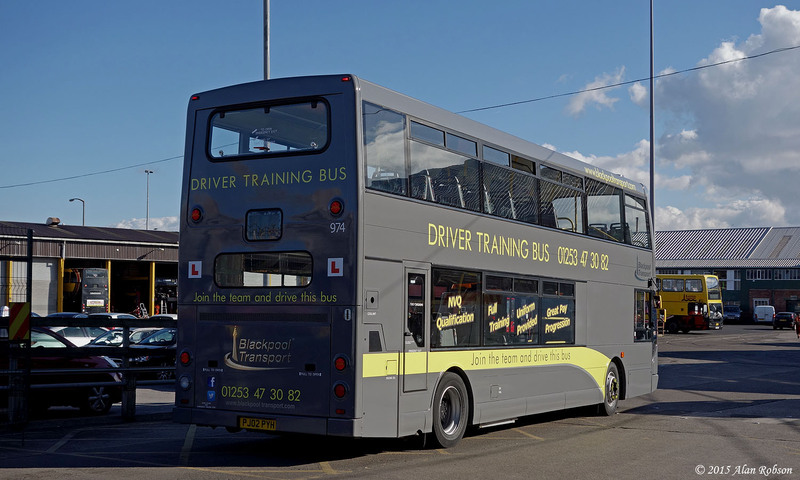 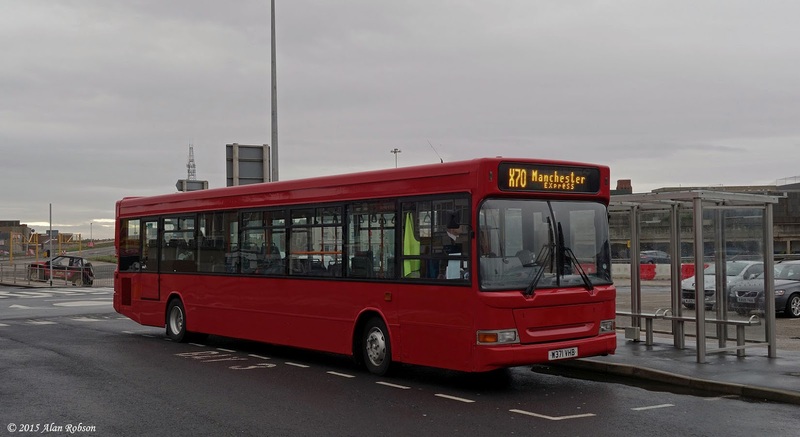 Dennis Trident 304 is now in use as a driver training vehicle. 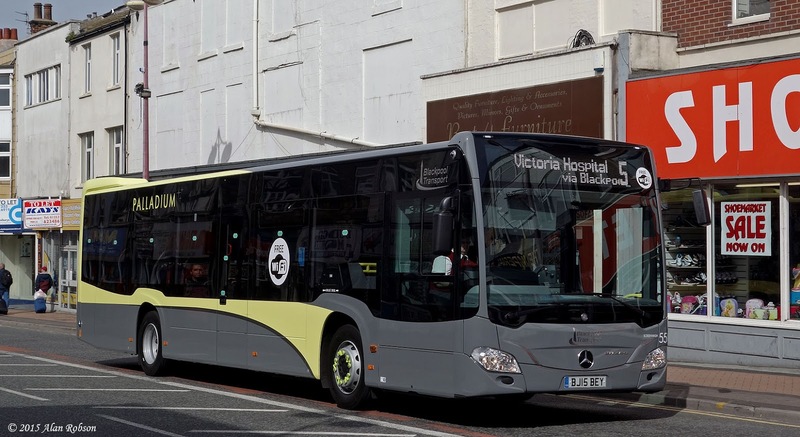 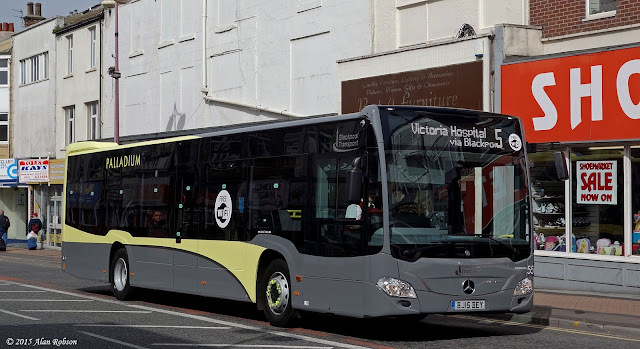 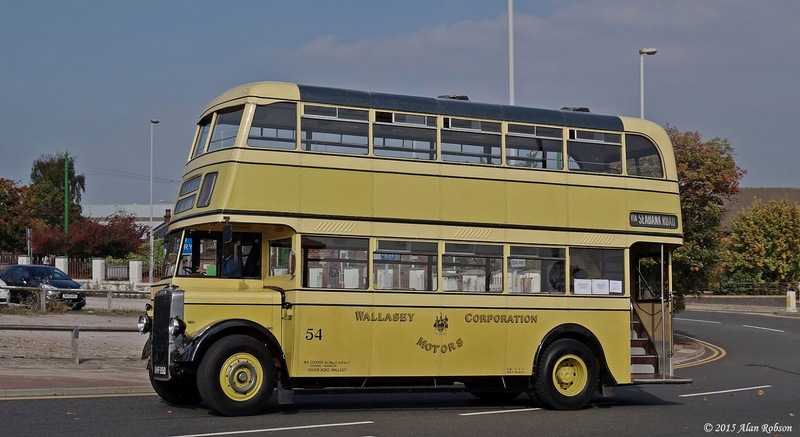 304 has been renumbered to 974 and is painted in a grey and pale yellow colour scheme, based on the livery that was first used on the ten new 'Palladium' branded Mercedes Citaros that entered service at the end of May. While out on a shopping trip, I accidently came across a Class 37 on a passenger working at Preston Station. 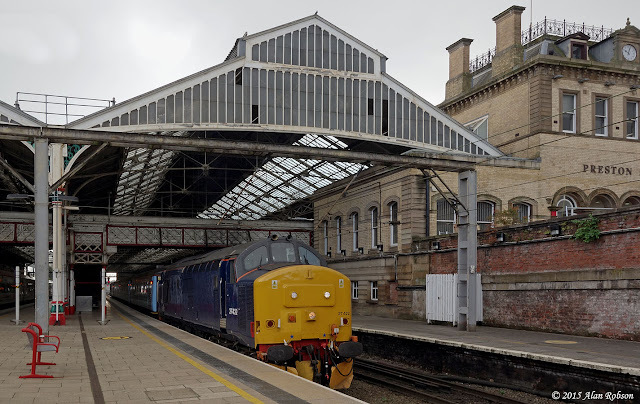 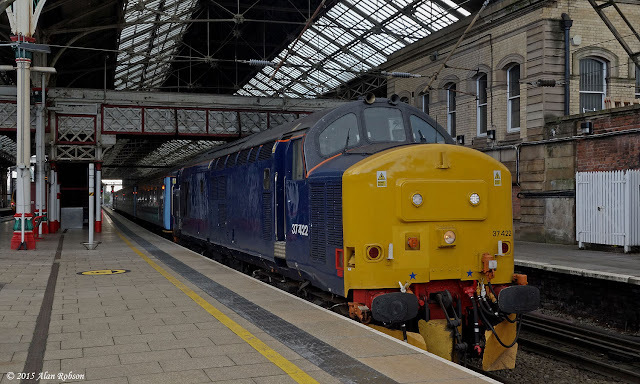 Direct Rail Services 37422 was operating the 2C47, departing from Preston at 1004 for Barrow-in-Furness. 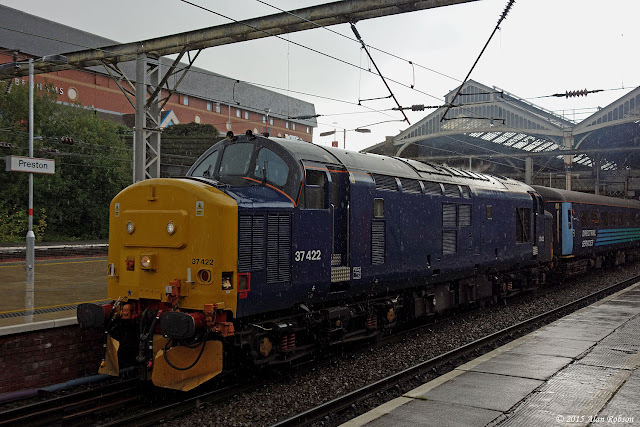 Unfortunately the weather wasn't very conducive to photography as it was raining when I arrived and then it started lashing down as the train departed from the station! 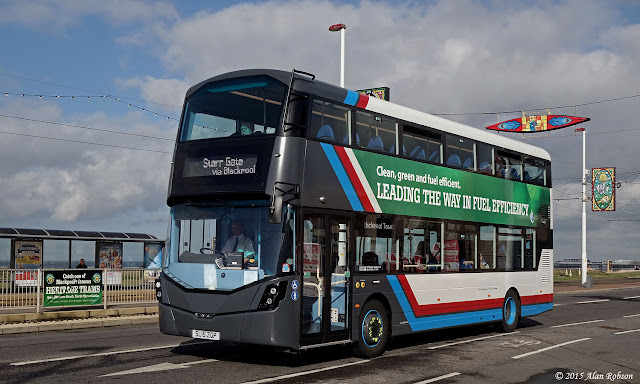 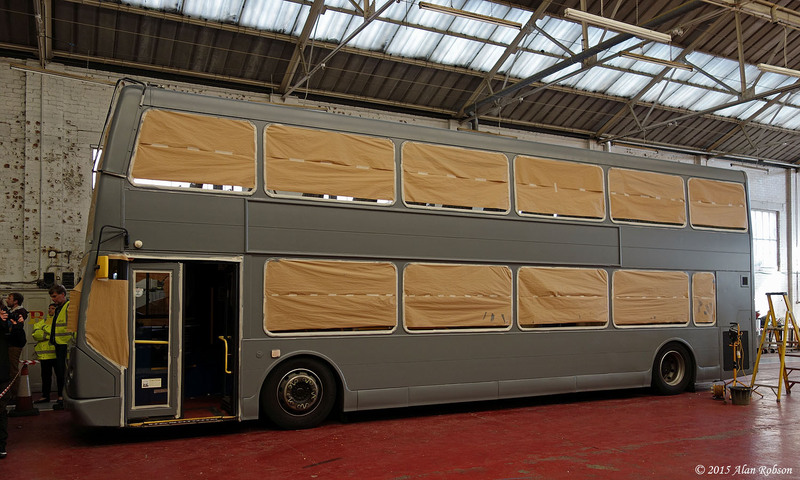 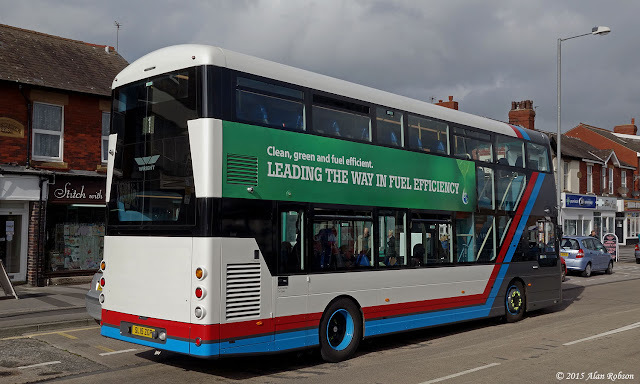 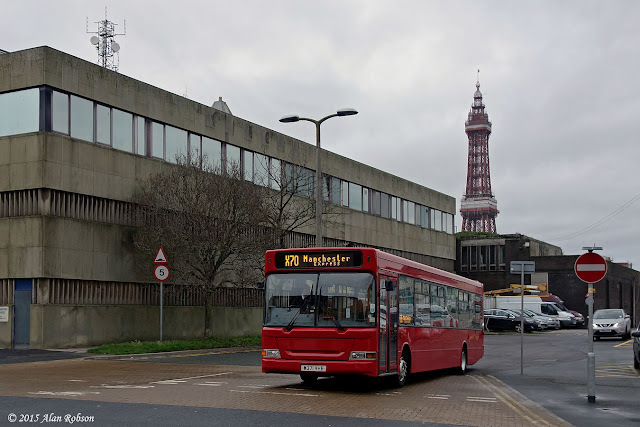 Blackpool Transport currently have one of the new 'Stealth' styled Wrightbus Streetdeck integral demonstrators on loan. 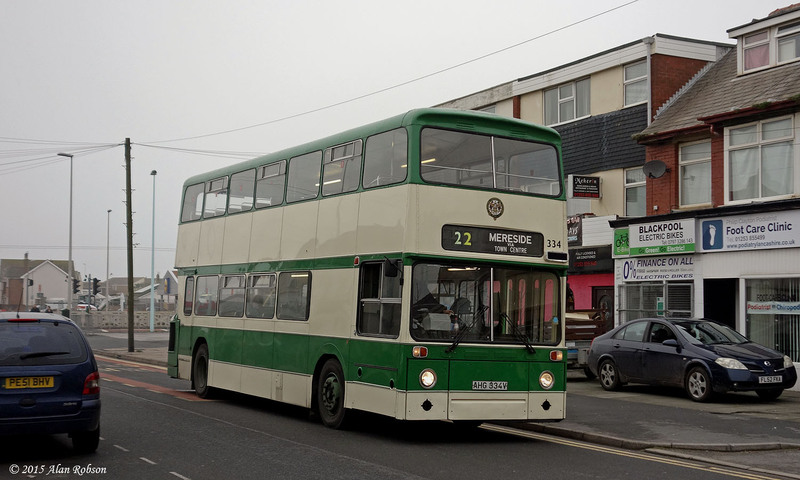 The Streetdeck has been in use on the coastal route 1 between Starr Gate and Fleetwood since it arrived in the resort last week. 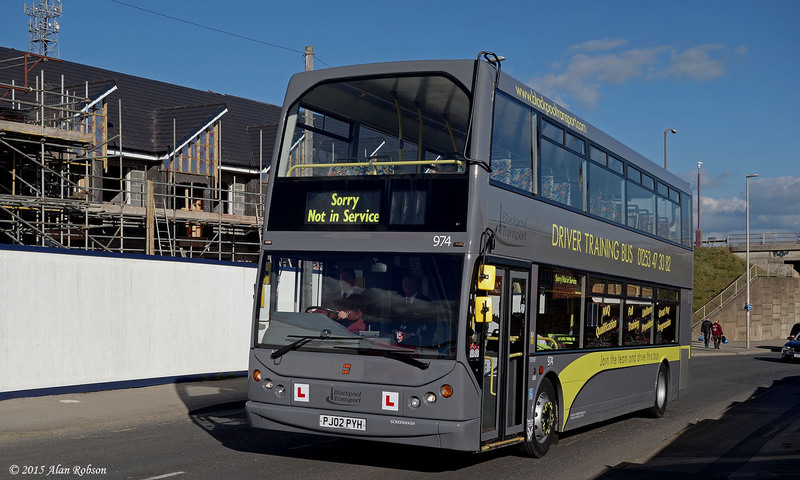 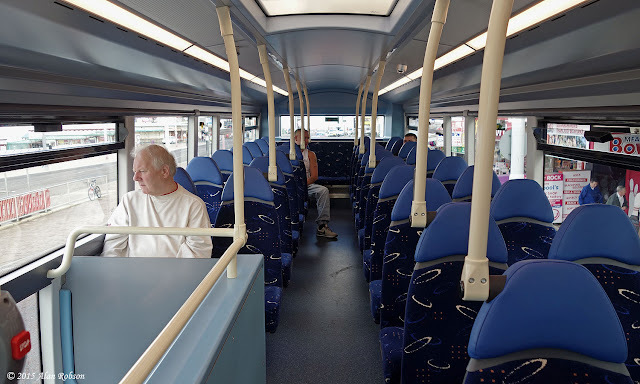 SL15 ZGP was new in June, and is currently in its second week of use on the Fylde Coast. 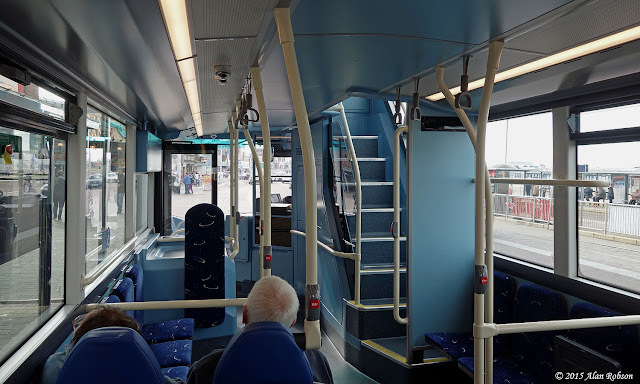 One notable feature of this demonstrator is the glazed staircase, similar to that used on London's Borismasters, however most production Streetdecks omit this option and are constructed with normal panelling in this area. 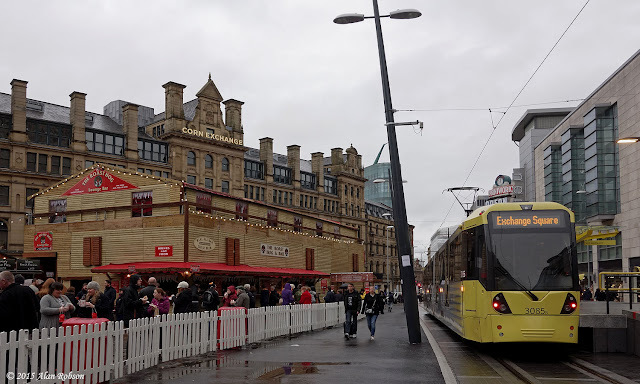 Flexity 002 has received side advertising for Fleetwood Market. 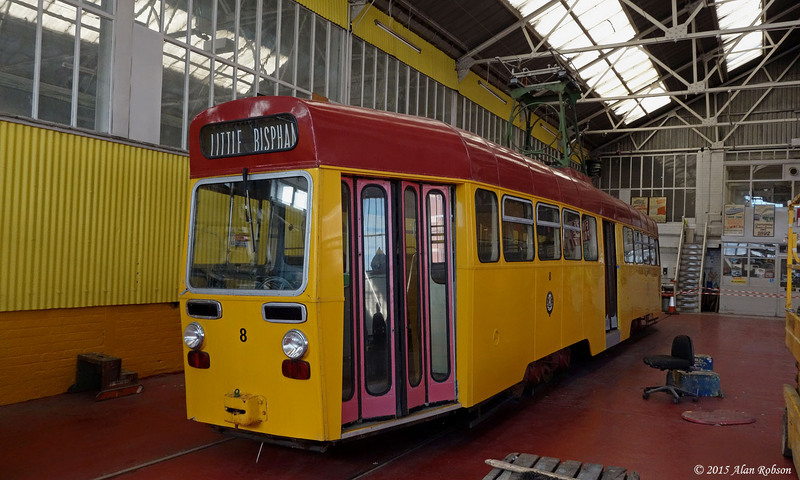 Previous to the advert being applied, 002 was one of the few Flexity trams remaining in unadorned fleet livery. The advert is rather uninspiring, with the writing being so small on the roof panels that at first glance from a distance it is not obvious what it's meant to be promoting. 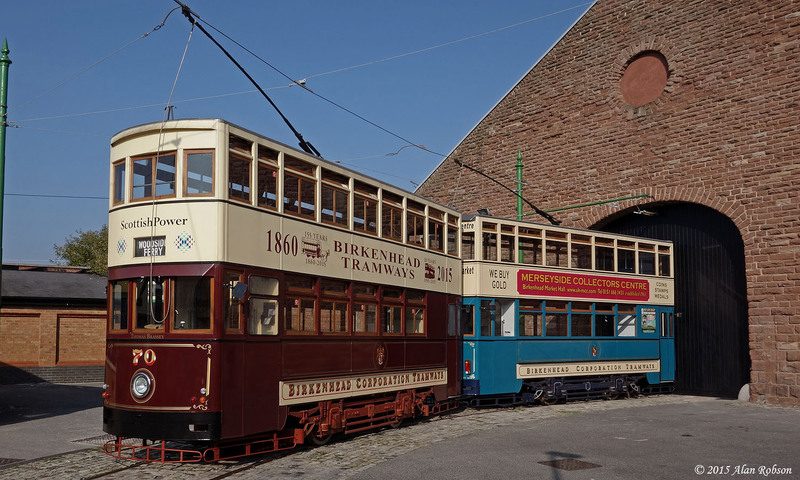 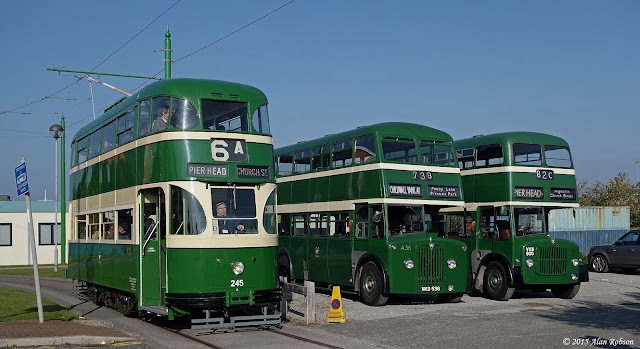 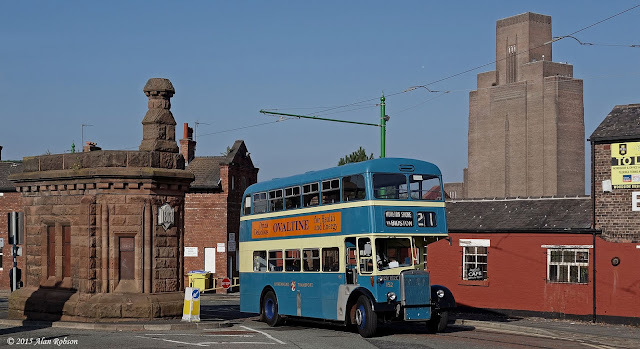 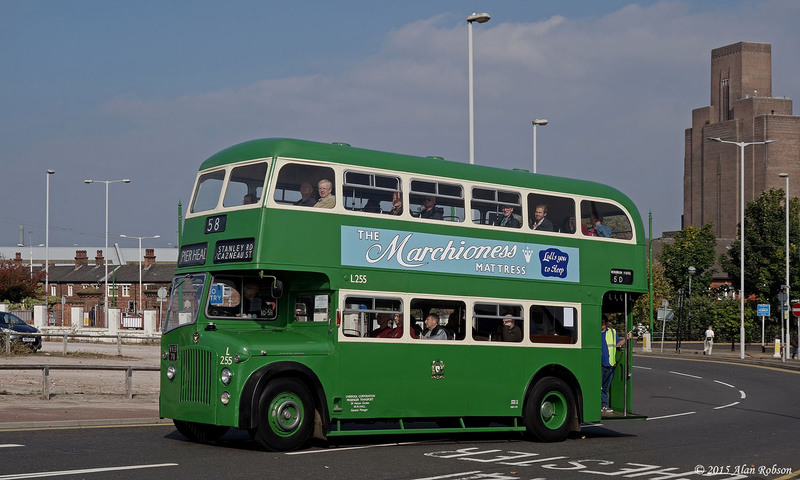 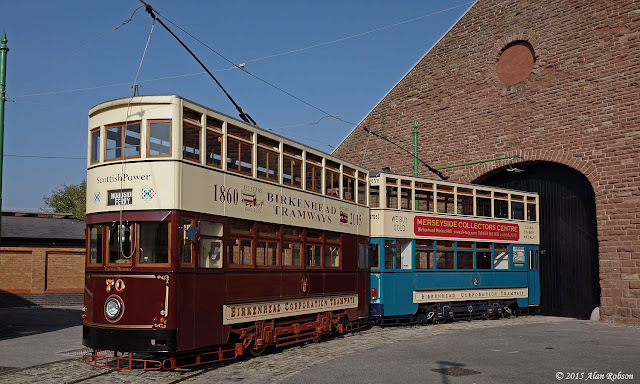 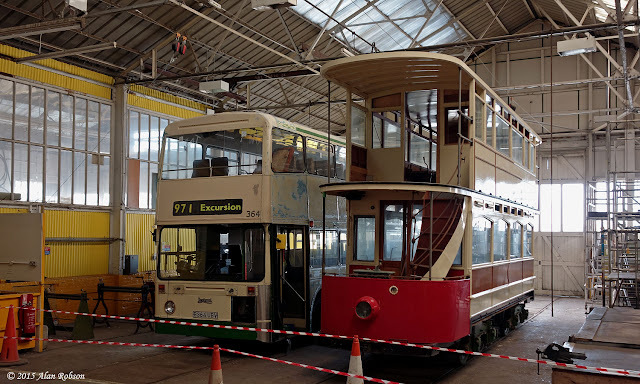 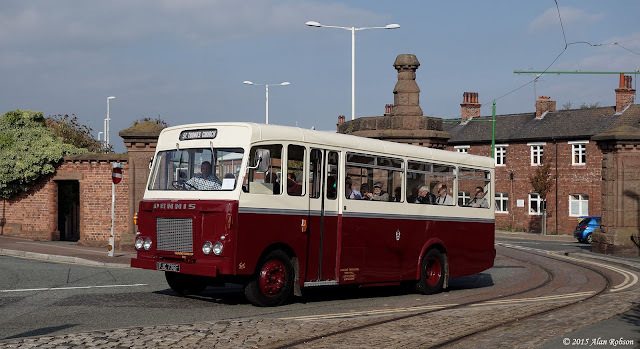 Sunday 4th October saw the annual Wirral Bus & Tram Show taking place, based around the Wirral Heritage Tramway in Birkenhead. 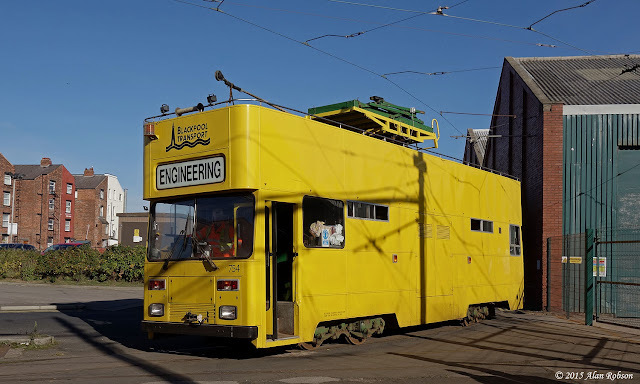 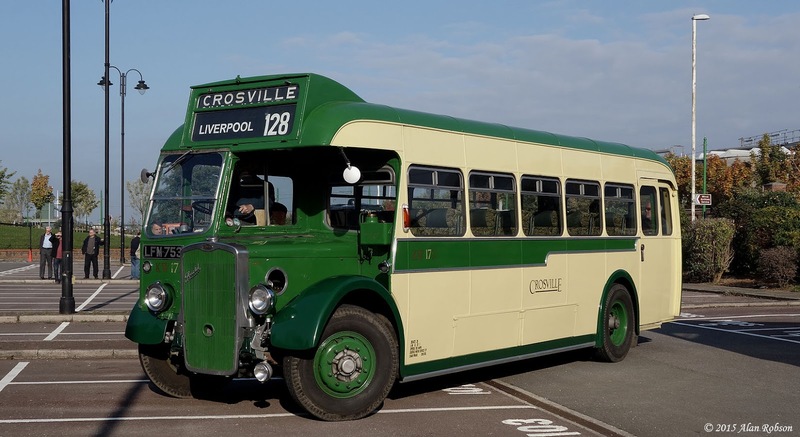 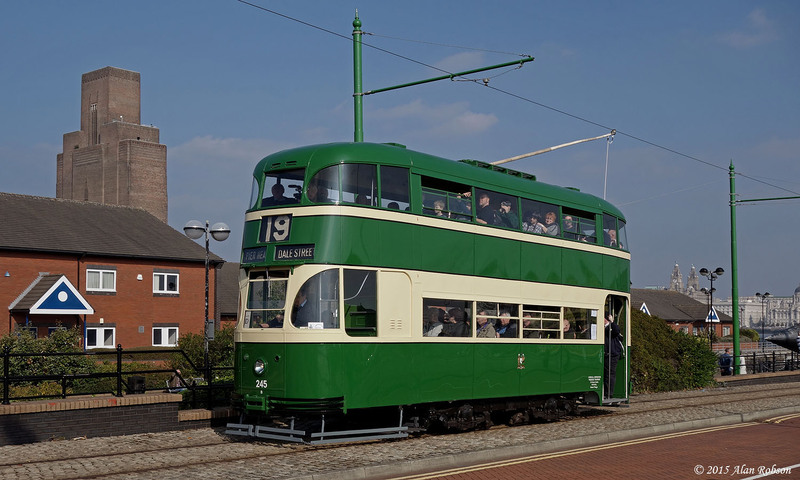 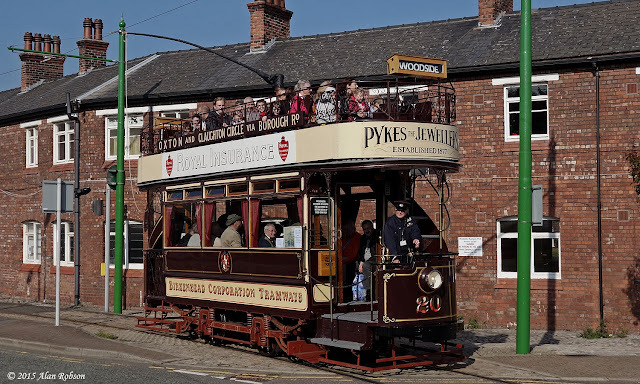 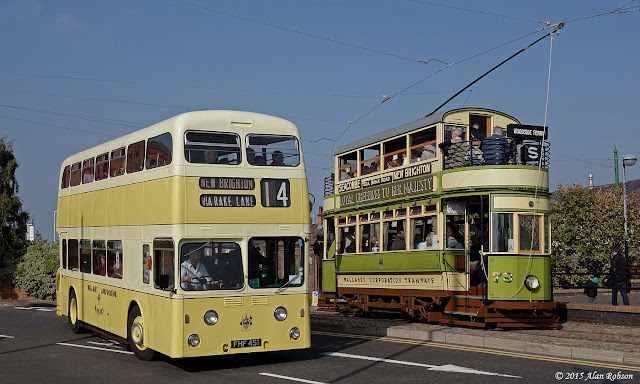 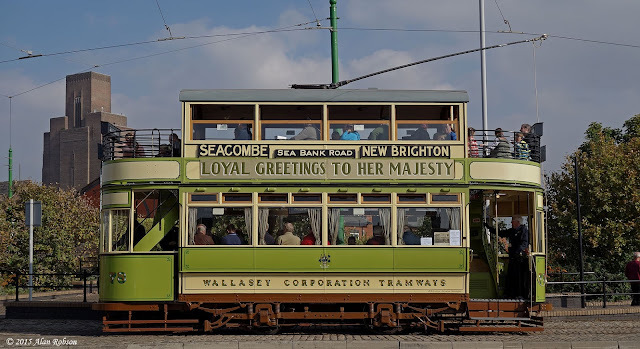 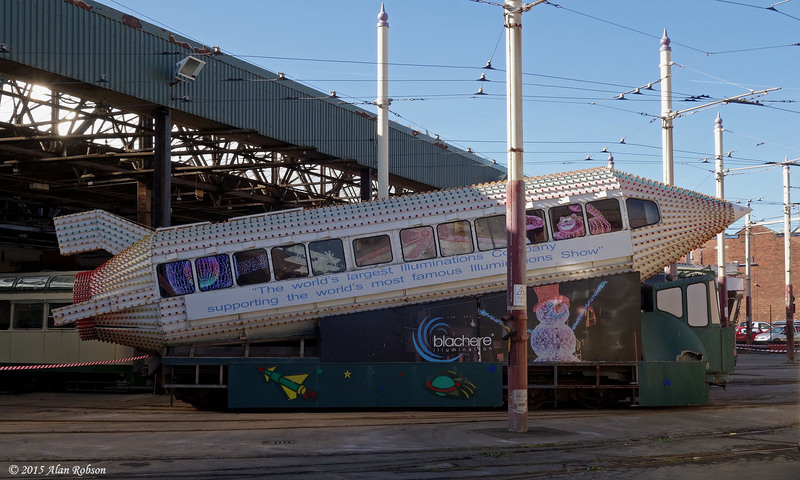 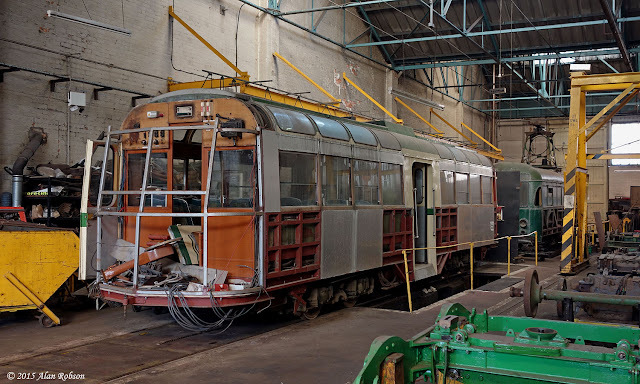 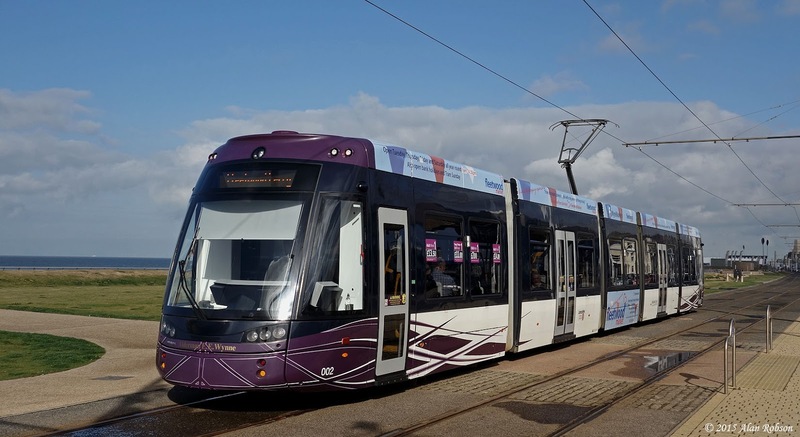 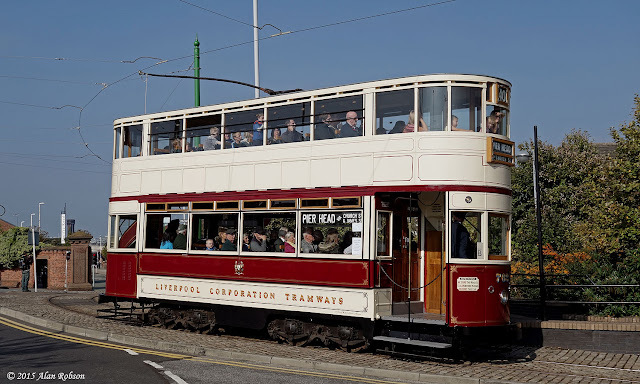 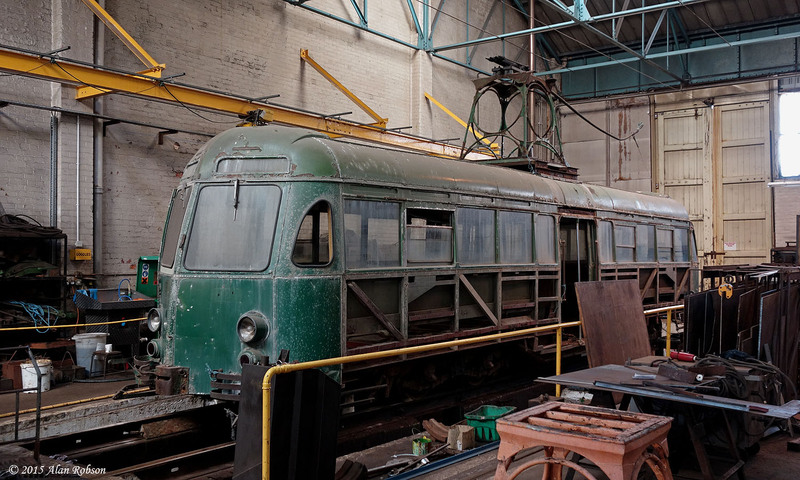 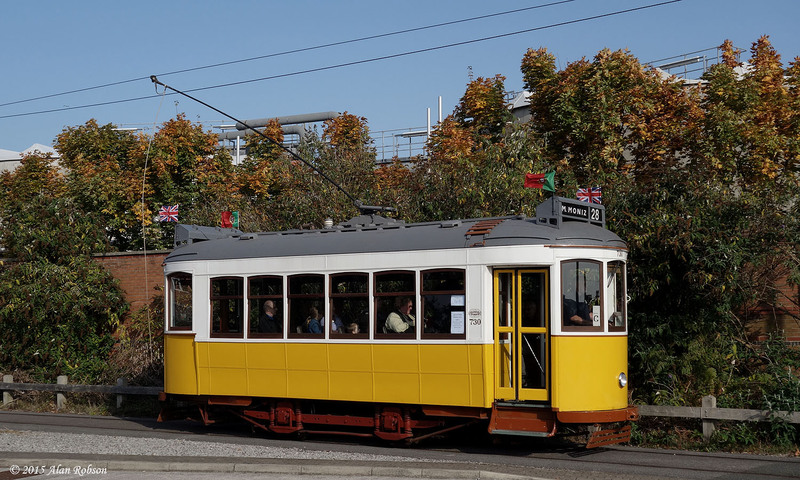 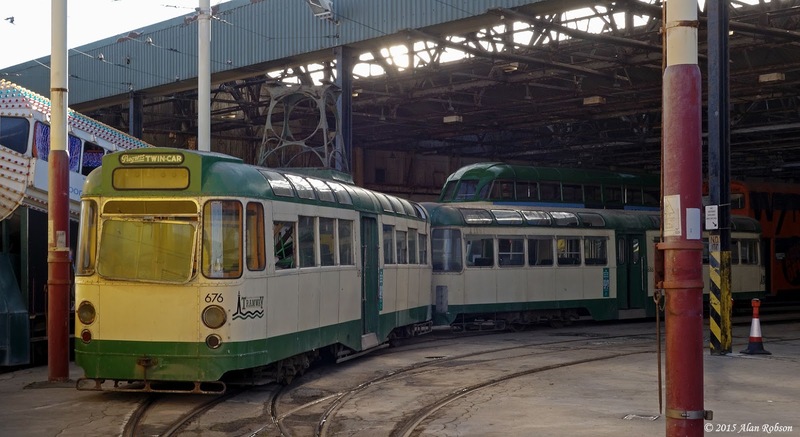 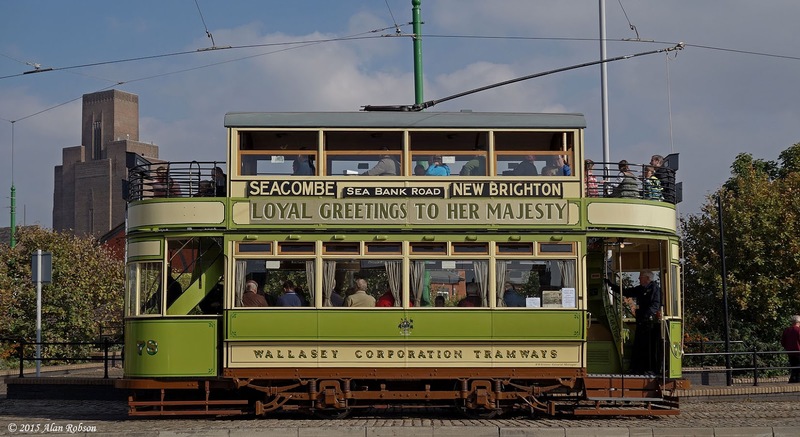 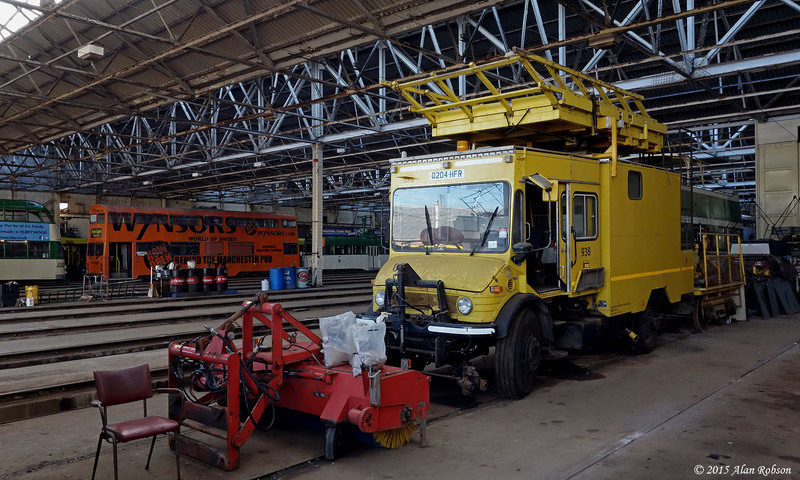 The event was blessed with sunshine for much of the day, with the highlight being Liverpool Baby Grand tram 245 making its debut at the annual show. Liverpool 245 had only had its public service launch three weeks before the event, and the tram was unsurprisingly extremely popular, running with heavy passenger loadings throughout the day. 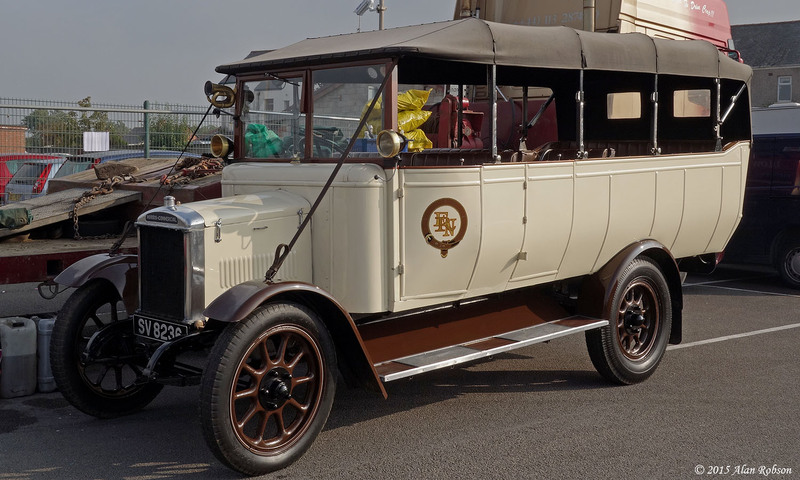 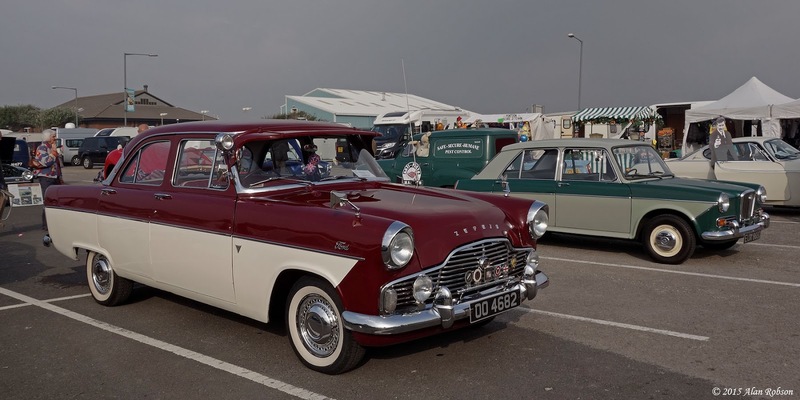 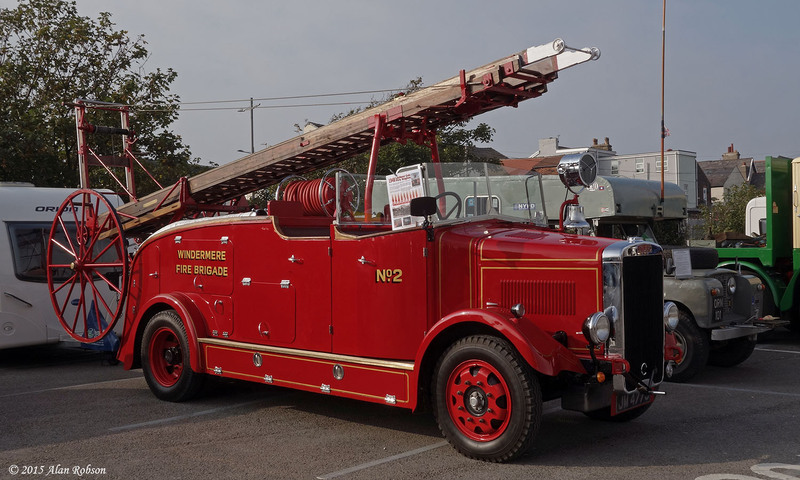 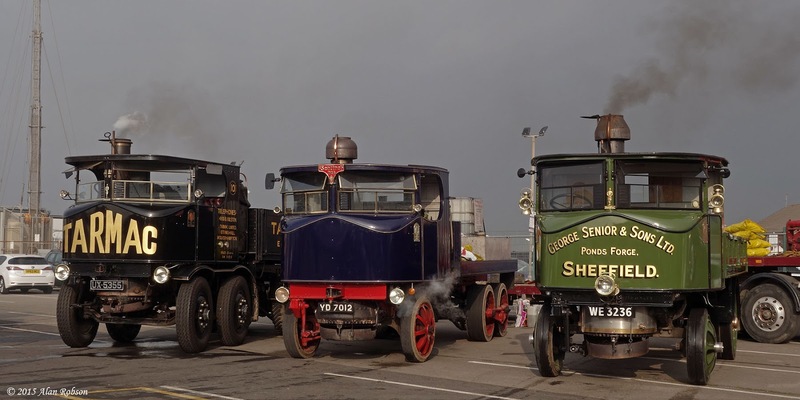 The second Blackpool Steam and Vintage Vehicle Rally took place on the South Car Park over the weekend of 3rd and 4th October. 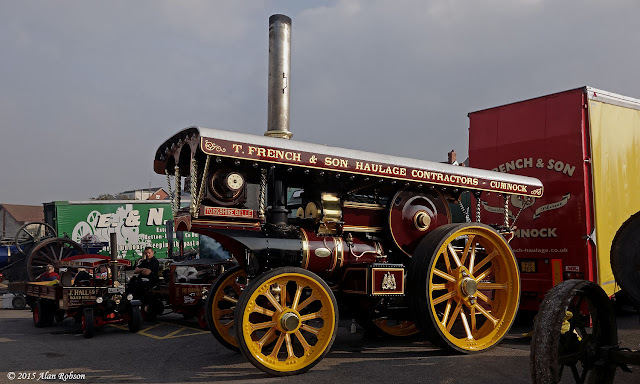 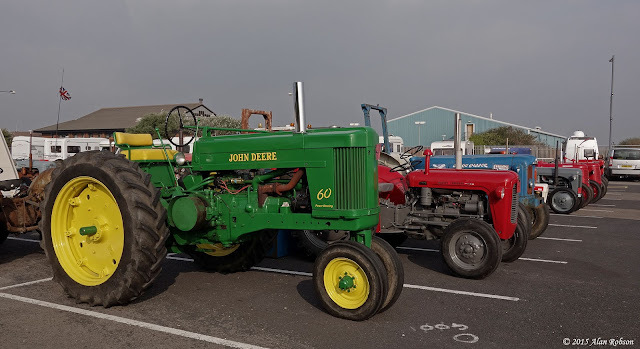 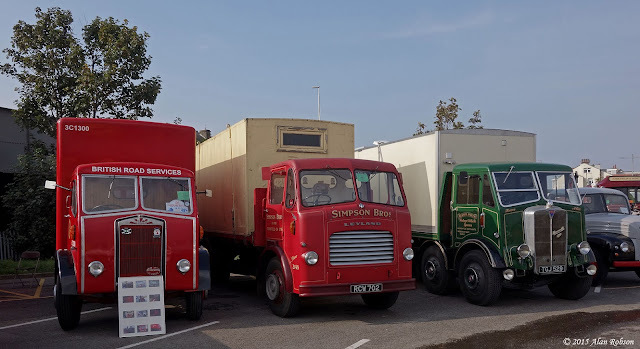 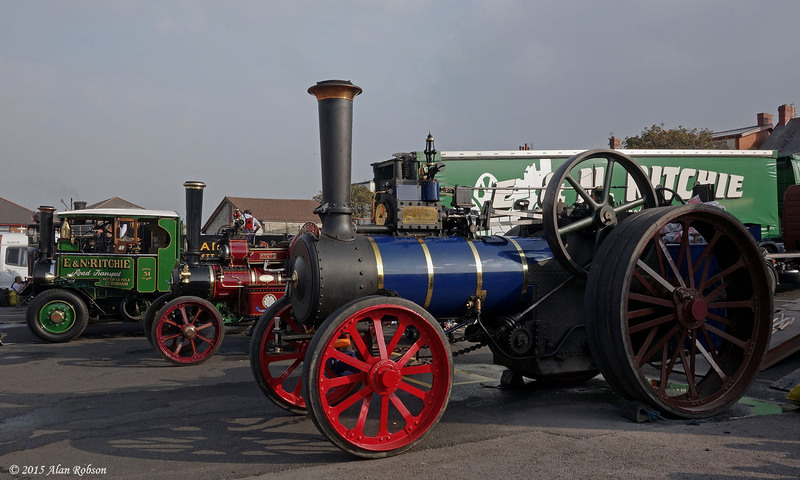 There were a variety of exhibits again, including traction engines, steam lorries, miniature traction engines and steam lorries, tractors, commercial vehicles, military vehicles and classic cars, etc. On Saturday evening several of the traction engines and steam lorries took part in a road run to Central Pier and parked up on the adjacent headland. 1916 Fowler showman's engine "Yorkshire Belle"